Dr. Charkhandeh received his Doctor of Dental Surgery (DDS) Degree and Bachelor of Medical Sciences from the University of Alberta. He also received his fellowship from Las Vegas Institute for Advanced Dental Studies in 2009. He then furthered his education and training by completing a Research Fellowship in the area of “Sleep and Dental Sleep Medicine” at the University of Antwerp Hospital (UZA), in Antwerp, Belgium in 2016-17. 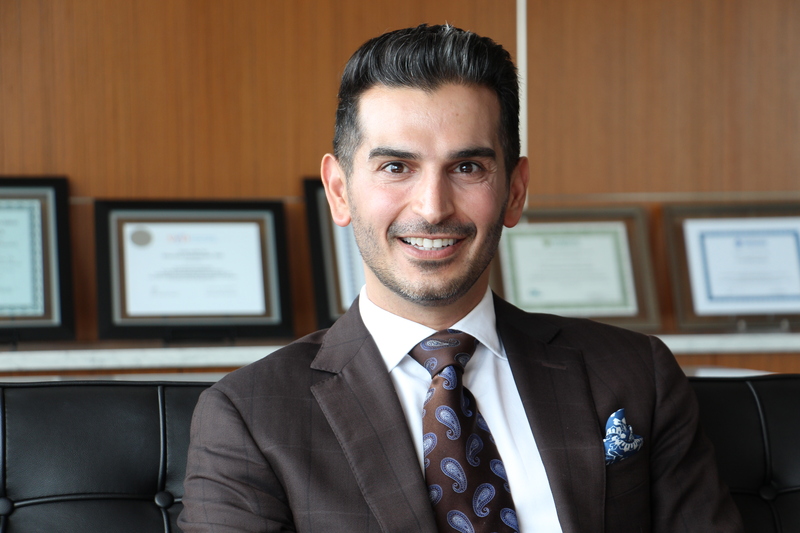 Dr. Charkhandeh is a general dentist who maintains a group of private practices in Edmonton and Calgary with an interest in Dental Sleep Medicine and TMD. He is actively involved in clinical research in Dental Sleep Medicine and his research focuses on developing new technologies to improve treatment outcome predictability and patient selection in Oral Appliance Therapy for patients with OSA (i.e. Obstructive Sleep Apnea). Dr. Charkhandeh is the “Chief Dental Officer” at Zephyr Sleep Technologies, the developer of “MATRx TM” Technology. He is the recipient of the “2012 & 2015 Clinical Research Award” and “2015 Clinical Excellence Award” from the American Academy of Dental Sleep Medicine (AADSM). He has lectured at numerous meetings such as American Academy of Sleep Medicine Annual Meeting, AADSM Annual Meeting, IAO (International Association for Orthodontics) Annual Meeting, iBedsma and many more Sleep meetings across North America and Europe. He is the founder and director of Alberta Dental Sleep Medicine Study Club and also a member of the “Sleep Disordered Breathing Committee” for the Alberta Dental Association & College. He is also the “Clinical Director” at The Snore Centre in Calgary, Alberta; a multidisciplinary clinic offering diagnostic and treatment services for snoring, sleep apnea and other sleep disorders. Dr. Charkhandeh is a major advocate for the importance of a multi-disciplinary approach to Dental Sleep Medicine which focuses on the collaboration of Sleep Physicians, Sleep Dentists and other healthcare professionals. He has been treating OSA patients for many years and also has trained hundreds of dentists in Dental Sleep Medicine.